CHILDHOOD'S END (Miniseries) Review | Warped Factor - Words in the Key of Geek. 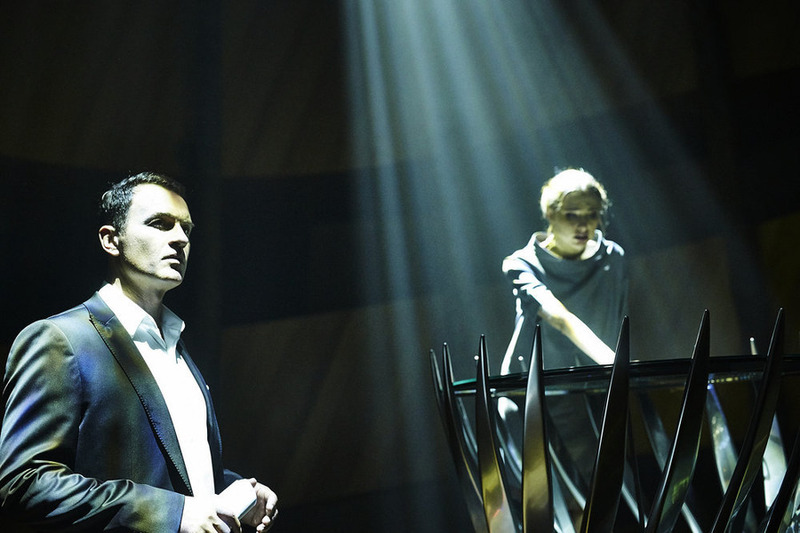 Matthew Kresal looks at the recent SyFy Channel adaptation of Childhood's End. There are projects that seem like they will never happen. A screen adaptation of Arthur C. Clarke's classic 1953 novel Childhood's End is one of them. Stanley Kubrick tried to have a go in the 1960s but, with the rights elsewhere, the pair made the classic 2001: A Space Odyssey instead. Since then, writers and filmmakers ranging from Abraham Polonsky, Howard Koch, Philip DeGuere, and Kimberly Peirce all tried in vain to bring it to life. It wasn't until 2015, fifty-two years after original novel was published, that the SyFy Channel brought the novel to the screen through the British team of writer Matthew Graham and director Nick Hurran. Was it worth the wait? Anyone who has ever read the original novel (or virtually any of Clarke's work for that matter) will note that Childhood's End is an epic tale but one that's not strong on plot or character. It's very much a novel of ideas and occasional incidents that build into a larger whole. Characters hardly appear or, when they do, are there for a portion of the narrative before vanishing again. All of which would make adapting it a pain for most writers. Which is something that makes Graham's adaptation all the more surprising. What the script does is take Clarke's ideas and build onto them. Readers will recognize many of the characters, events, and incidents from the novel being brought to life though often in new ways to match up with the fact that this is a version being made five decades after it first appeared. 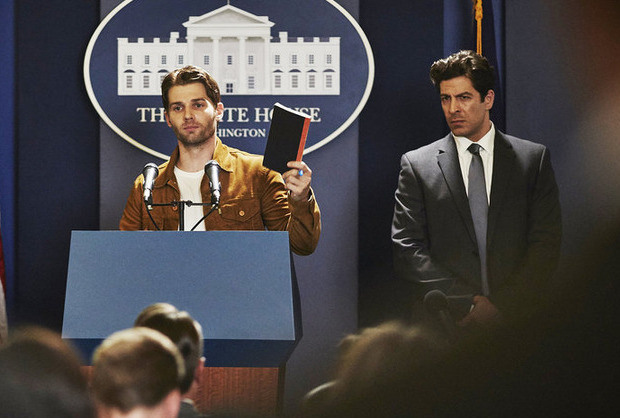 Wainwright and the Freedom League in the first episode is a perfect example, with Graham's shifting of the character to a media baron being something that feels absolutely right, especially in the world we're living in as I write these words. Other times, it expands upon it, such as the chapter in the novel where Clarke makes a multi-decade leap in a few pages which becomes the basis for a significant part of the middle episode. These changes work though some of them seem a little needless such as turning Ricky Stormgren into a young American farmer rather than the older Scandavian Secretary-General of the United Nations. On the whole though, it's a faithful adaptation, in tone and philosophy at least. Beyond Graham's script, there's plenty to enjoy. The production values across the board are solid, including production design and costumes that work to show not just our world reacting to the arrival of the Overlords but the world that is created in its wake. The special effects, being a science fiction tale, will get a lot of attention and they are solid as well. Indeed the effects needed to bring Clarke's novel to life have likely been as much a hurdle as the script, but the combination of CGI and creature effects for the Overlords bring Clarke's vision to the screen splendidly. There's a large cast of actors ranging from Mike Vogel and Osy Ikhile to Daisy Betts, Ashley Zukerman, and Hayley Magnus plus a supporting cast including the ever reliable Colm Meaney and Charles Dance as the main Overlord. 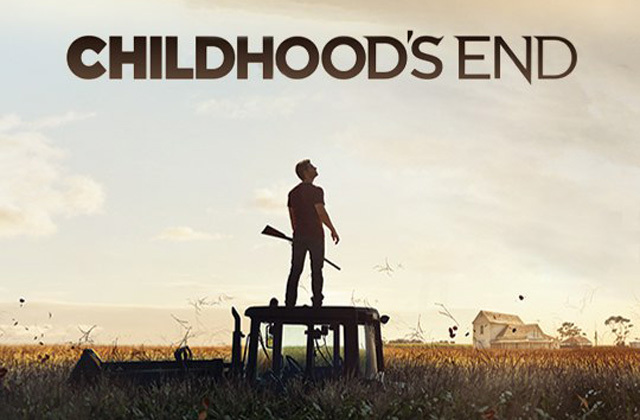 Brought together by veteran UK director Nick Hurran, Childhood's End tells an always compelling and interesting story. It all builds up to the ending, taken straight from the original novel and where everything from performances to effects to music all come together beautifully. The result is an assured production throughout. Yet even with all of this, it isn't a perfect adaptation. Though it's always compelling throughout, there are times when it does seem to stretch things out a bit much, such as the aforementioned second episode plus early parts of the third which engage in a bit of wheel-spinning. Or, perhaps even worse, Graham's script indulges itself in cliches, such as the sacrifice of one main characters and a decision they make that leaves them to their fate which is something not taken from Clarke's novel. Also, despite how well the effects are for most of the series there are times when they do let it down, such as the presentation of the Overlords planet which pales in comparison to the vision in the novel. Some of the casting feels a little off at times, such as Julian McMahon's Doctor Boyce in the second episode and a few moments of Ikhile's performance where the right note isn't quite struck. On the whole though, the miniseries gets it right more often than not. So after five decades, was a screen adaptation of Childhood's End worth the wait? I think it was. Graham and Hurran, along with a talented team in front of and behind the camera, bring Clarke's vision to life. It takes a classic novel and builds upon it, often for the better but not always, and creates a take on it right for the screen and the world we live in today. It might not be on the level of Kubrick's 2001 but as TV adaptations of literary science fiction goes Childhood's End is a damn sight better than it had any right to be.